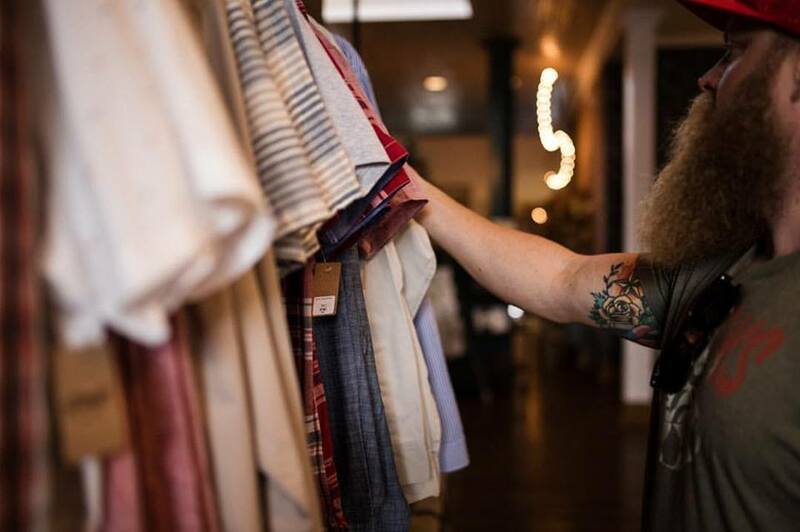 From boutiques to markets to one-of-a-kind specialty stores, The Texas Hill Country is filled to the brim with retail versions of local charm. Here are some of the best local shops in each of the regions of the Hill Country so you can make a plan to stop in next time you pass through town. West Bear Creek General Store started in 2000 when Tom and Linda Johnston moved Tom’s old stomping grounds of Kimble County. The shop has grown into one of the best overall shopping venues in the area for their inventory of ranch supplies, including feed and other farming materials, fencing, hunting supplies, and sporting goods. Beyond those items, they have a selection of clothing for every kind of person, from boots and hats to simple gifts. A local favorite to the Marble Falls area, Numinous Coffee Roasters serves a great cup of coffee from bean to cup. Enjoy a high-quality cup of joe with pastry (sweet or savory!) and spend the afternoon catching up with an old friend. In the spirit of Autumn and supporting local businesses, skip the Starbucks line and grab a Pumpkin Spice Latte from Numinous! The Cowboy Fudge and Candy Shop is like Willy Wonka’s Chocolate Factory inside the little town of Llano. Play oversized checkers while you gorge yourself with delicious chocolatey snacks or sugary sweets. This place looks and feels like a children’s paradise, so bring the kids and let everyone fill a bag full of candy and take a cheat day on your diet. Southwestern Elegance is a complex of little shops to enjoy in the West Hill Country town of Ingram. It is an antique shop offering furniture and other items from all over the world at affordable prices. In one building is antiques and home decor, as well as a selection of jewelry and gift items, and a second building is just for the ladies and features many clothing and style accessories. The third building is known as the warehouse and has over 2,000 sq ft of repurposed furniture and architectural materials. Wimberley plays host to the oldest and second largest outdoor market not only in the Texas Hill Country but the entire state of Texas. Over 475 booths sell just about anything you can imagine, all while live music plays in the background. This event takes place on the first Saturday of every month March-December from 7:00 am to 4:00 pm. Admission is free to stroll around the market, and there are plenty of local shops set up for you to check out during the day. Paper Bear is a fun store to go into on days you need something to cheer you up. From goofy items like puppets and silly socks to jewelry, incense, and nice fabrics, Paper Bear is an excellent store for both gifts and paper products. It is located in a very walkable area of San Marcos known as “The Square,” which is a great area to spend a full day walking around, checking out cool shops, and eating delicious food. Solstice Outdoors is a premier yard art and sculpture venue in the Hill Country town of Dripping Springs. There are many features on the lot including a gallery of local art, yard decor, sculptures, and landscape design with a focus on native plants to the local area. There is a full-service nursery on site with a lot of low-maintenance plants for purchase. Note: Solstice Outdoors even offers installation services for anyone who wants to transform their home garden! Some might say that Der Kuchen Laden is the Disneyworld of kitchen stores. This specialty shop carries tons of name brand items like Cuisinart, Kitchen Aid, and Nespresso, as well as an array of small specialty items for both gourmet chefs and amateurs. Whittington’s Jerky and General Store carries loads of Texas-style gourmet goods like traditional and specialty beef jerky, sauces, spice mixes, Texan chili, apple butter spread, salsas, jellies and jams, and so much more. Whittington’s has all the simple pleasures a Hill Country resident could want. Lavender Lane Farms was revitalized by Mitch and Keely Symons, and they have now opened the farm to be enjoyed by the public. It is located on a terrace overlooking the Blanco River just down the street from the courthouse. Lavender has a pleasant smell and soothing properties often used for calming and de-stressing after a long day. Lavender Lane Farms sells products like teas, lotions, sprays, and soaps to help you get in that peaceful state of mind. The Alley on Main is a fun little boutique shop on the main street of downtown Boerne. This shop includes stylish clothing and accessories options for the ladies, as well as great home decor at affordable prices. There are always unique selections available to check out! Pookie Jane’s has a cute name and cute products to boot! This small boutique features a great selection of style and trends in clothing, accessories, shoes, jewelry, and much more. This shop is a favorite for male tag-along shoppers, as they can grab a complimentary cold beer and head into the “man cave” so the ladies can take their time shopping. The Texas Hill Country is known for many things: gorgeous landscapes, spring-fed waterways, cowboy nights under the stars, and boot-stomping music. And along with the culture of Texas friendship and hospitality comes small businesses hoping to attract new customers. Make a point to venture out in your neighborhood or take a day trip to visit some of these amazing places!